Vacheron Constantin - Vacheron Constantin Malte Perpetual Calendar Retrograde Date Open dial Platinum. Vacheron Constantin Malte Perpetual Calendar Retrograde Date Open dial Platinum. I always was intrigued by this Perpetual Calendar from Vacheron. Its open dial and retrograde date make it special. The lugs are very much my taste, too, but the case is too thick for me. I believe it’s a nice piece but not with a skeleton dial. This kinda piece looks better on an enemal grand feu dial for instance. And regarding the case thickness I’m with on that. A tab thick for a dressy watch. 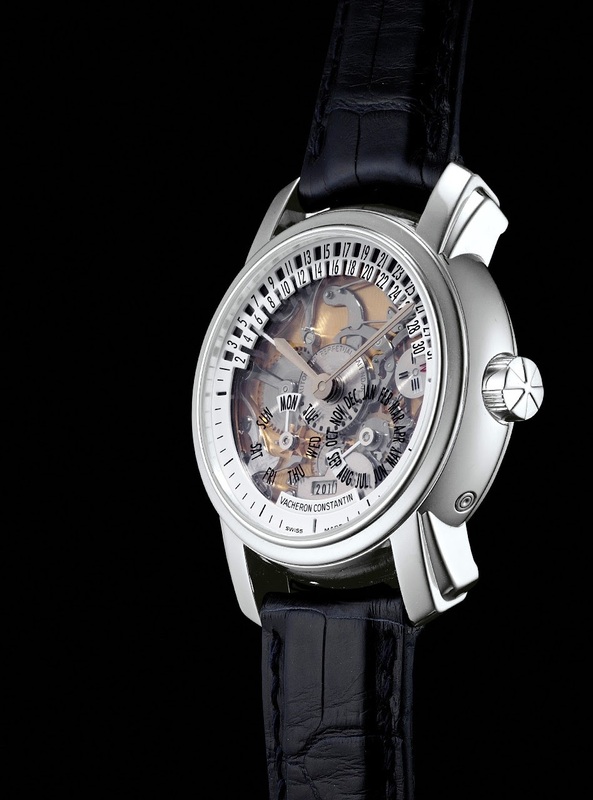 I think they've done a good job on combining their skeleton tradition with a modern dial design. In this respect, the retrograde Malte is a precursor to the Twin-Beat. I'd love to see this piece in the metal, not easy to judge it by pictures as it is quite different from more traditional VCs. Daniel PS Lovely to see another retrograde perpetual!